If there’s one thing I’ve learned over the past few years, it’s that the beauty tools you use to apply your makeup really do make a difference. Before I started to properly get into makeup, I used the same eyeshadow brush to apply several different shadows from my Urban Decay Naked palette. And it was the brush that came in the palette— good thing for it! Looking back, I cringe a bit because I had absolutely no idea what I was doing. I just knew that I wanted to get better at the whole makeup thing with practice. So yes, I have Urban Decay’s Naked palette and beauty bloggers/Youtubers to thank for inspiring me. My YouTube addiction is out of control, but that’s for another post. 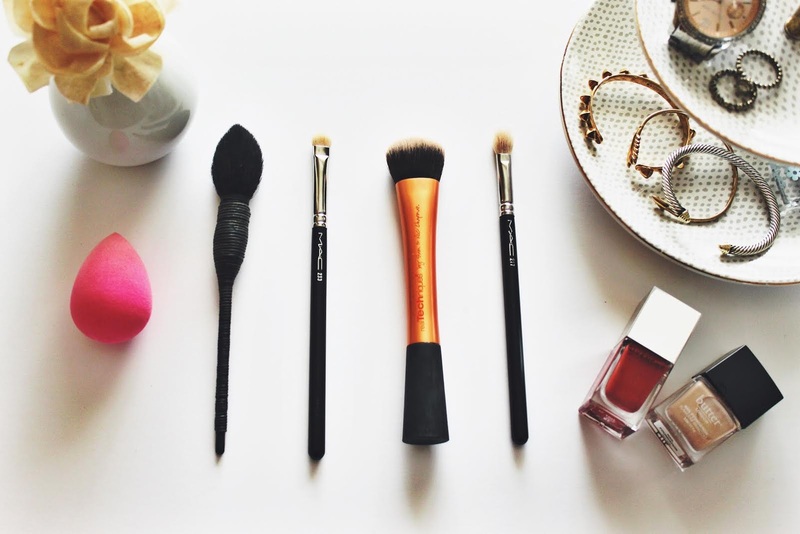 Anyway, here are five beauty tools that might make a difference for you like they did for me. To start things off, I’ve been using the Real Techniques Expert Face Brush to apply liquid foundation.The application is quite firm and the bristles blend my foundation really well. 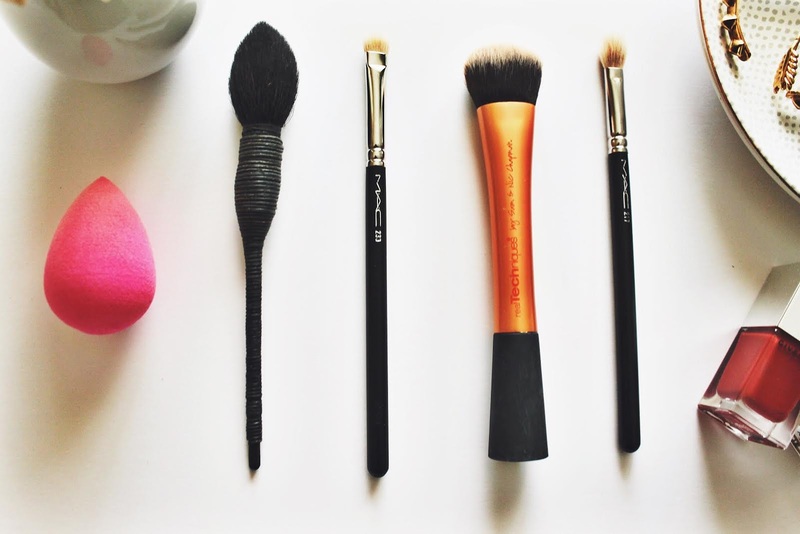 This brush is also extremely affordable! Once your foundation is completely blended in, put concealer under your eyes straight from the wand applicator. Run your beautyblender original under water and squeeze it until there’s just a tiny bit of moisture left. Use the pointed end of the sponge and lightly bounce it on the skin under the eyes to blend your concealer in using very little pressure. If you’re interested in a more affordable dupe, I also really like the Real Techniques Miracle Complexion Sponge. Time to get bronzed up. Use the NARS Yachiyo Brush #27 to sweep bronzer back and forth underneath your cheekbones creating a “hollow”. Don’t forget to apply bronzer to the other parts of your face where the sun would naturally hit– hairline, upper forehead and below the jawline. You can also use this brush to apply blush and highlighter as well because it’s a wonderful multipurpose tool. Lastly, pop on some eyeshadow primer and use whatever eyeshadow color or palette you’re into at the moment. Pack a base color onto the lid with the MAC 239 Eye Shader Brush, a dense brush with soft bristles. Finish off by blending a darker color into the outer corner with a MAC 217 Blending Brush, which has fine, densely packed fibers that are perfect for blending in colors like a pro. Good luck! I actually just bought my first beautyblender last weekend! I'm no make up expert, but I've been wanting to try a few new things and I'm still getting the hang of it 🙂 I might have to give that face brush a try!